On February 6, Winston Ho will give a talk at PRC headquarters about the influence of traditional East Asian culture on New Orleans architecture. Learn more. In 1904, Raoul Vallon, a successful insurance broker and son of a French immigrant, commissioned a new house for his family. Vallon didn’t want another Creole townhouse or Greek Revival mansion, like all of his Uptown neighbors. He wanted something different — something from another world. Vallon was friends with Lafcadio Hearn, a former New Orleans newspaper writer, and the two corresponded through letters after Hearn moved to Japan. Hearn sent illustrations and descriptions of Japanese buildings to Vallon, who then sent these illustrations with instructions to his architect Frank P. Gravely. The result was the Vallon Pagoda House at 2307 Napoleon Ave., an Uptown house in a pseudo-Japanese style. Since its construction, subsequent owners have added a pair of Chinese guardian lions to the front porch and a cast-iron gate inscribed with circular Chinese longevity symbols. However, these additions are not part of the original structure. The original structure is Japanese in character — or at least it tries to be. The structure consists of two spacious floors over a raised basement, with a belvedere for ventilation and lighting at the summit, giving the house a roughly triangular shape. Three sets of roofs feature curved corners and wave-like red tiles. 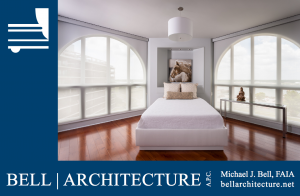 Each floor is surrounded by large windows resembling bamboo and paper windows, while the windows on the double doors are engraved with images of bamboo and the rising sun. Even the light over the front door resembles a paper lantern. How much does this building reflect the illustrations of Japanese architecture that Lafcadio Hearn sent back to New Orleans? Though it appears Asian-esque and foreign to Westerners, it also appears Western and foreign to people from East Asia. 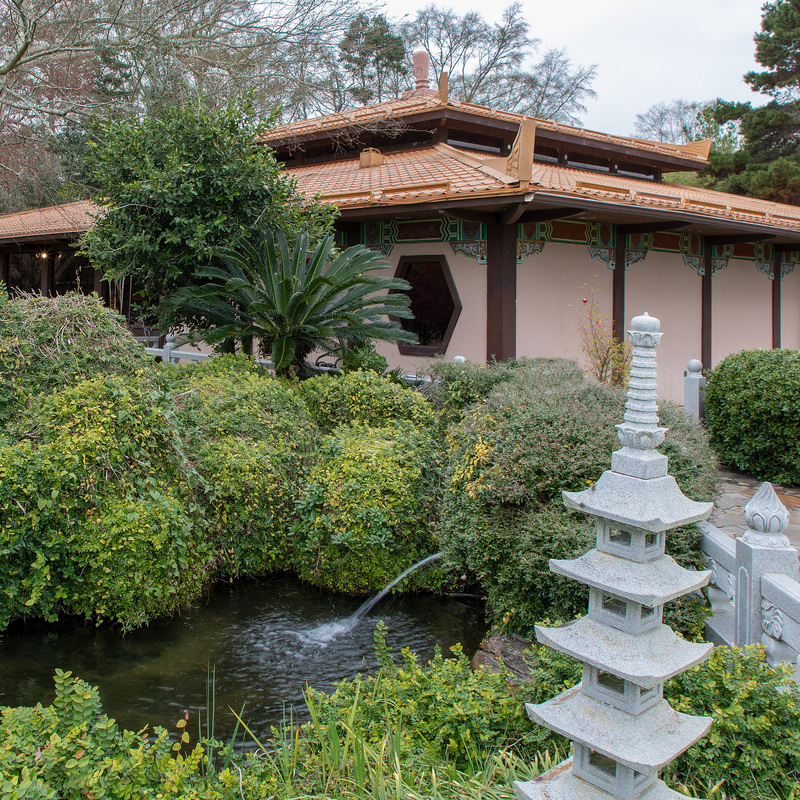 The Vallon Pagoda House is an example of Orientalist architecture. Orientalist architecture is inspired by East Asian design, but it doesn’t duplicate it. 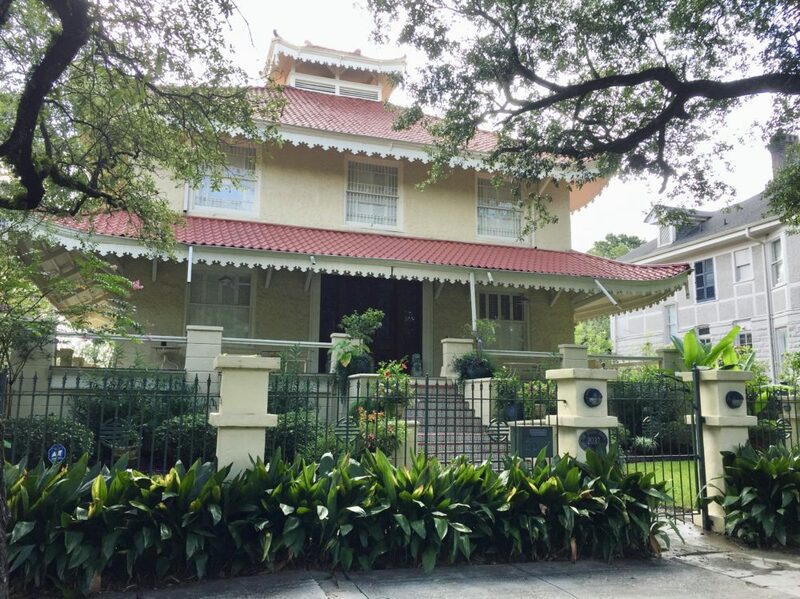 The Vallon Pagoda House on Napoleon Avenue is an example of an Orientalist structure, a style of architecture that is more Western than East Asian. Though inspired by traditional Japanese architecture, its design and construction have more in common with the Creole houses around it than anything that can be found in Japan. Photo by Davis Allen. Certainly, the Vallon Pagoda House is a remarkable and beautiful structure. 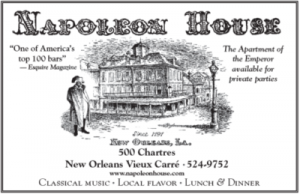 Facing the spacious neutral ground of Napoleon Avenue, its exotic flavor sets it apart from anything else in the city. But the house’s red Mediterranean roof tiles, plant-like brackets and Victorian trim under its roofs, wooden hand rails around its spacious wrap-around porch, and long awnings are all common features of traditional New Orleans architecture, rather than Asian architecture. Similar features appear on other houses on Napoleon Avenue, albeit without as much flair. The Vallon Pagoda House is not a building you would ever see in Japan — perhaps not something you would see anywhere else in the world. It may be the only Japanese Creole house in existence. In 1971, the Wongs founded the China Inn Restaurant in Hammond, which was the first Chinese restaurant in the Florida Parishes. The restaurant was an immediate success, and the brothers decided to build a second and much larger restaurant in Mandeville, just north of the Causeway Bridge, allowing three other Wong brothers to join them in Louisiana. Although the China Inn was already famous, Frank Wong convinced his brothers to rename the restaurant Trey Yuen, meaning Crystal Jade Palace. “There were already too many China Inns,” Frank Wong said. 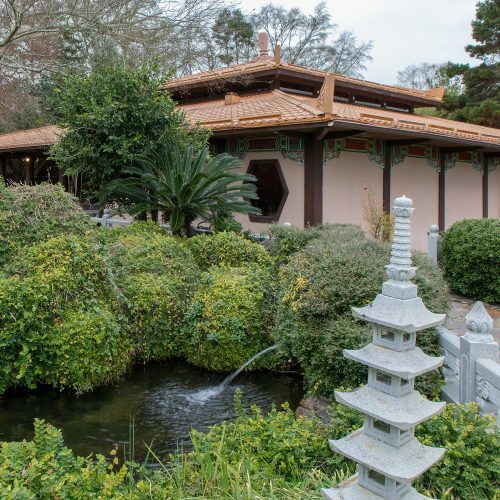 He also convinced his brothers to spend extra money to build a restaurant that “looked Chinese,” rather than “fake Chinese.” Completed in 1980, Trey Yuen Mandeville was designed in a neo-traditionalist Chinese style. Louisiana architect Dickie Lamb designed the building, while another architect designed the surrounding landscaping, ponds and waterfall. Frank Wong designed much of the interior and exterior, using the Forbidden City and the Temple of Heaven in Beijing as references. The roof of Trey Yuen Mandeville is covered in gold-colored plastic tiles from a California company. The building is encircled by green and white fiberglass trim and brackets from Taiwan. Much of the woodwork and windows were custom-made in Thailand. The interior is filled with antiques, often re-purposed in a creative way. Four red and gold curtains emblazoned with dragons, for example, hang like tapestries from the ceiling. These were probably bed curtains. Trey Yuen Mandeville is unlike any building in the Forbidden City. Its spacious interior and large windows are ideally suited for a modern indoor restaurant. Nonetheless, its design successfully duplicates the aesthetic of a late imperial Chinese palace. 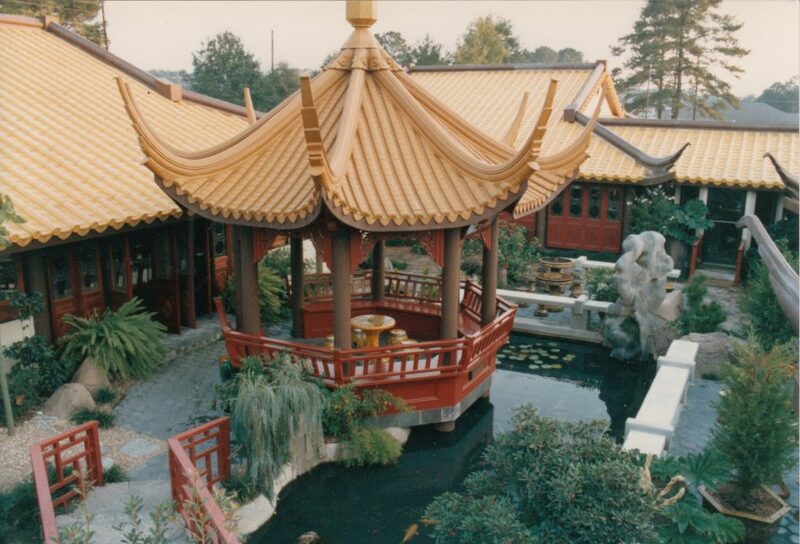 In 1986, the earlier China Inn Restaurant in Hammond was replaced by another neo-traditionalist Chinese structure. 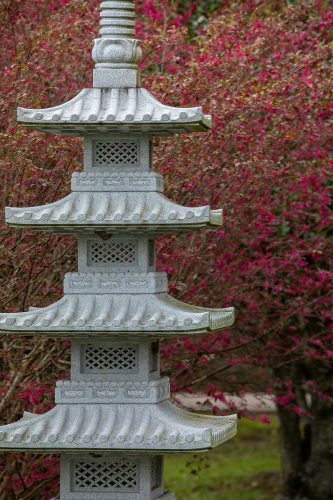 Designed by Mel Lamb, son of Dickie Lamb, with input from Frank Wong, Trey Yuen Hammond duplicated the classical gardens of Suzhou, which were installed in late imperial China at the private estates of high-ranking government officials. 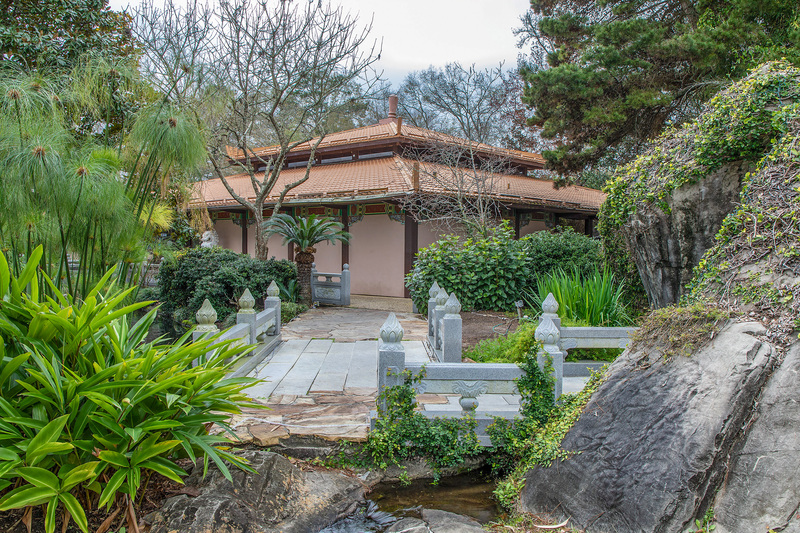 Trey Yuen Hammond featured a faithful adaption of a classical Chinese garden inside the restaurant, albeit on a smaller scale, complete with a goldfish pond and pavilion. This “pagoda-shaped” pavilion was built in Fujian province, China, and it was designed to be dissembled and shipped to Louisiana. 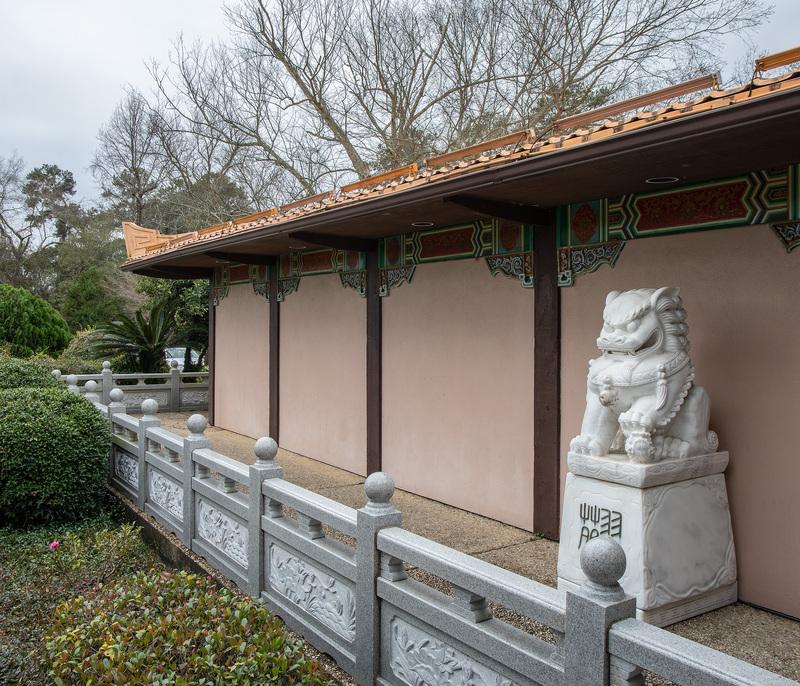 Trey Yuen Hammond was closed and demolished in 2017, though the pavilion and the custom-made Chinese fixtures were salvaged. The Wong brothers plan to use these fixtures to build a summer home for their family. 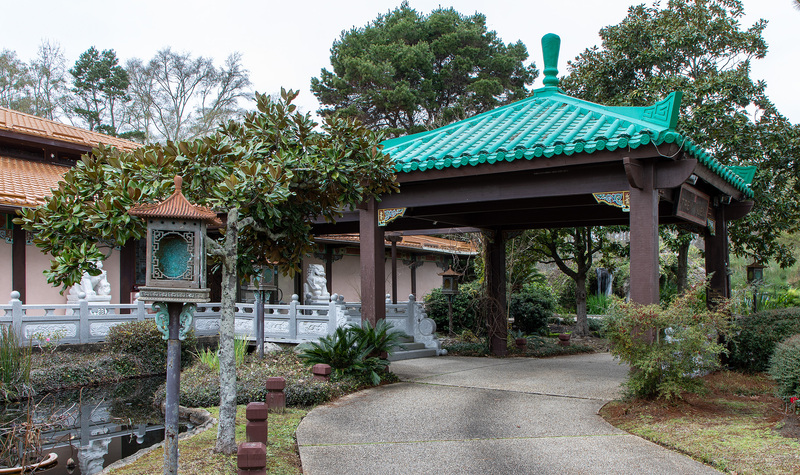 A view of the garden and pavilion inside the Trey Yuen restaurant in Hammond. The Hammond restaurant was based on the classical gardens of Suzhou in eastern China. Its pavilion was built in Fujian province, China, disassembled and shipped to Louisiana in pieces. This restaurant was closed and demolished in 2017. Photo courtesy of Frank Wong. In 2017, the New Orleans Advocate used the word “authentic” to describe the architecture of Trey Yuen Hammond, and indeed, authentic is the best way to compare neo-traditionalism to Orientalism. 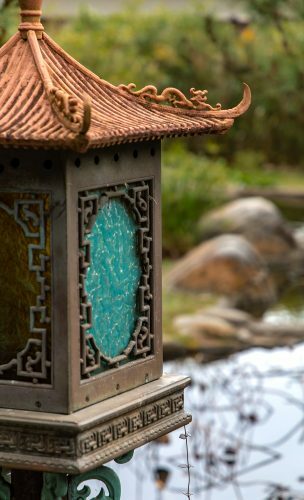 From an East Asian perspective, traditional East Asian architecture is familiar and orthodox. Thus, when Chinese architects incorporate traditional Chinese elements into a modern building, they do so as an expression of Chinese identity. 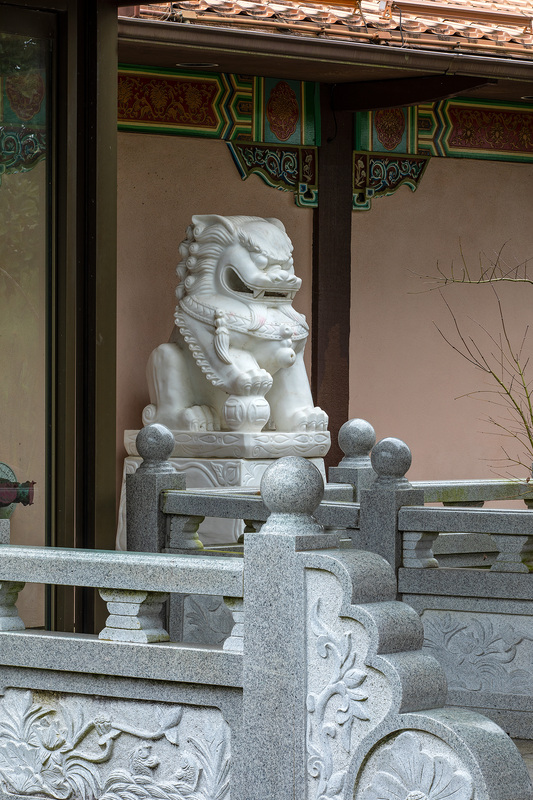 From a Western perspective, East Asian architecture appears exotic and mysterious. When Western architects with a superficial knowledge of East Asian architecture attempt to mimic it, they must rely on their training in Western architecture and their own creativity as substitutes. They often conflate and confuse different traditions, like Japanese and Chinese, and they project an exoticized view of these non-Western cultures. The Orientalist structures they build are not a reflection of Asian tradition, but of the Western imagination. But then, Westerners perceive this imaginary “Orient” as a place that is rich in culture and tradition, seemingly removed from the outside world and defiantly proud of its history and identity. 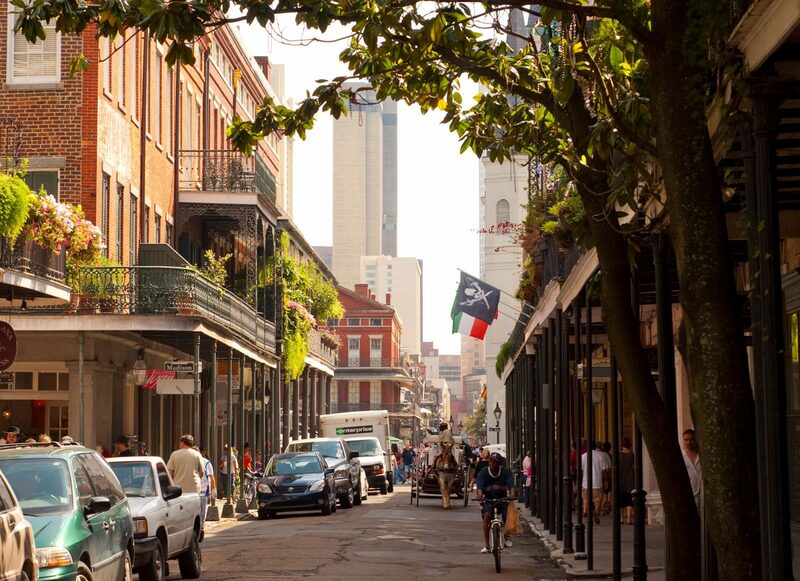 These are all characteristics New Orleanians associate with their own city, and so the Orientalist aesthetic has always held a special place in New Orleans art, Mardi Gras culture and architecture. 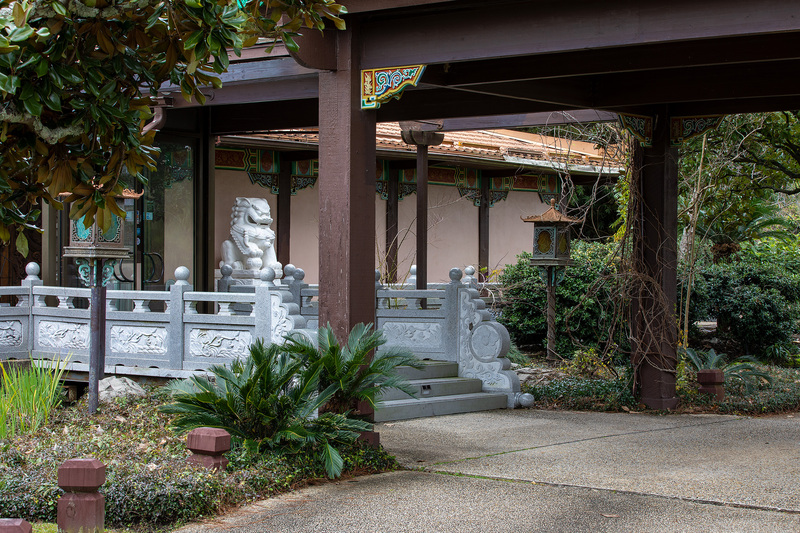 While we can appreciate neo-traditional structures as elements of “authentic” Chinese culture, we can also appreciate Orientalist architecture, such as the Vallon Pagoda House, as examples of Western architecture and the New Orleans imagination. Winston Ho is a graduate student in history at the University of New Orleans, specializing in early 20th century China and Chinese American history in New Orleans. He is a native of New Orleans and the son of Taiwanese parents. February 6, 2019 • 6:00 – 7:30 p.m.
University of New Orleans graduate student Winston Ho explores the influecne of traditional East Adsian culture on New Orleans architecture. The talk will explain the distinction between “Orientalist and neo-traditional East Asian architecture, and the origin of local landmarks, such as the Vallon Pagoda House; the Chinese Presbyterian Church; and the Trey Yuen restaurants in Hammond and Mandeville.